The dental commissioners have developed the Dental Access Pathway for streamlined patient referrals from dentists to Derriford Hospital, in particular to get images prior to the patient arriving. Images must be sent electronically - as part of the patient referral - in order to avoid repeat radiation exposure to the patient. When making the referral, export the patient’s images (DICOM export) from your Xray workstation, then click "Send Imaging Now" above to send using GDPR-compliant ShareMyXray Online. Check that Derriford Hospital is the destination hospital, and drag-and-drop the folder with the images you just exported. Detailed instructions and screenshots can be found here. Trial and one-off sends on ShareMyXray are free. For on-going regular use there is a pay-as-you-go fee per study, billed by Direct Debit in batches of 10. Latest pricing is on the billing page once logged in. 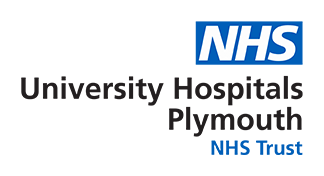 As part of the Dental Access Pathway, the status of whether a Direct Debit set up or not is visible to Derriford Hospital. Information on ShareMyXray can be accessed here. iRefer, the latest RCR referral guidelines can be accessed here.